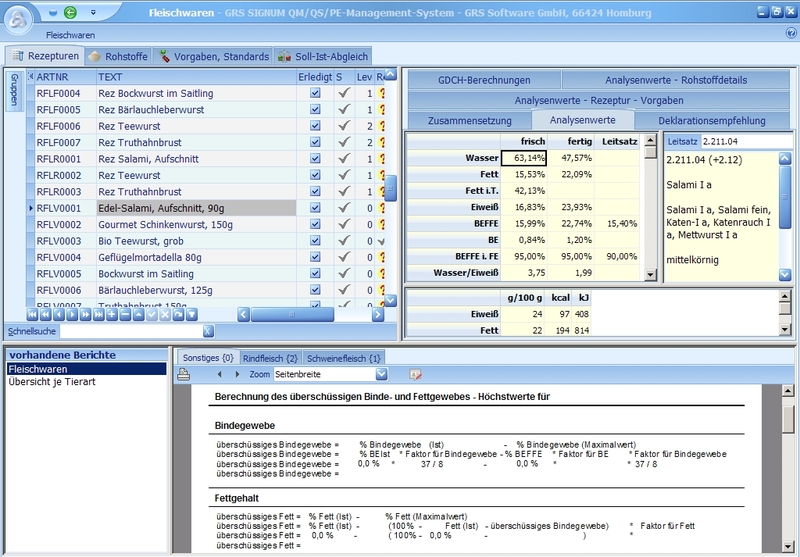 The meat products module can only be used together with the GRS SIGNUM software. This module allows an appropriate and easy QUID calculation for meat products (QUID = QUantitative Ingredients Declaration). 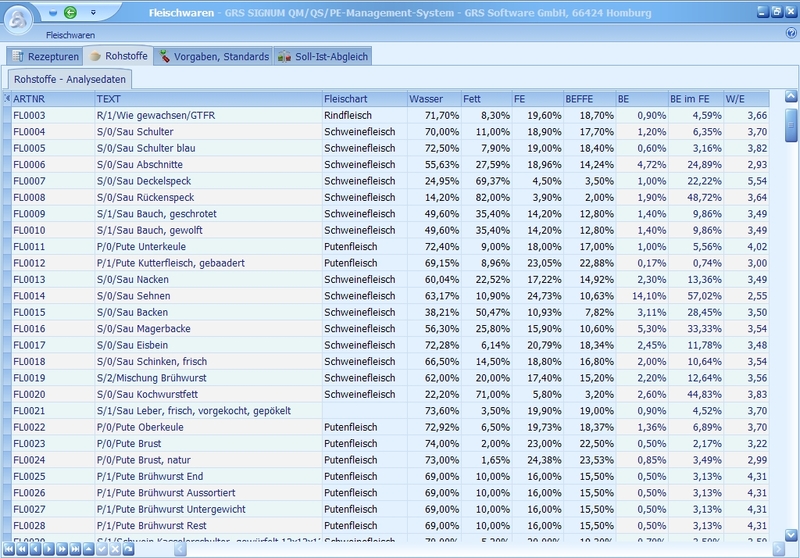 The results are calculated following the rules of BVDF and/or GdCh. Here again, the integrated report generator provides for free design of all evaluations, forms and reports to reflect the computed data for each individual type of meat on a recipe level.